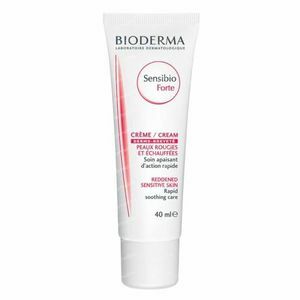 Bioderma Sensibio Forte Rapid Soothing Care 40 ml order online. -Sensibio Forte quickly relieves biological reactive signs related to inflammation (rubbing, after shave rash, hair removal, peeling, post-laser, solar erythema, etc.) and increases the skin's tolerance threshold. 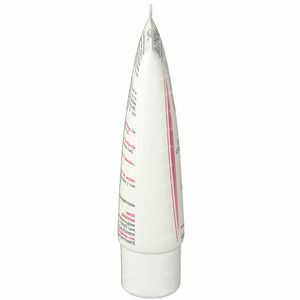 -Its soothing active ingredients, including allantoin and a high concentration of enoxolone, quickly relieve reactive signs such as redness and overheating. -The D.A.F. 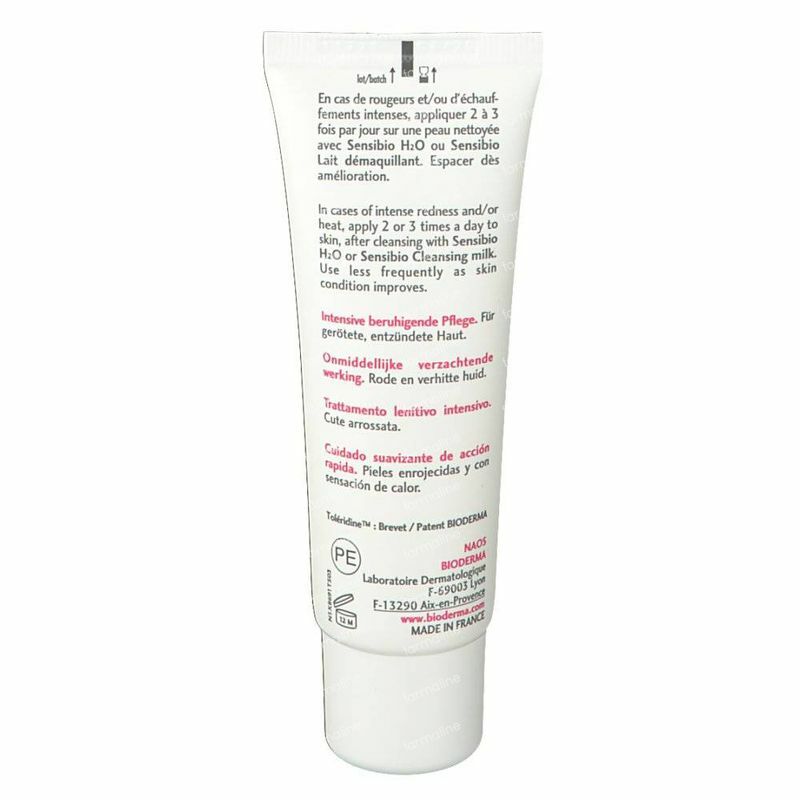 (Dermatological Advanced Formulation) patented natural complex makes the skin less reactive. 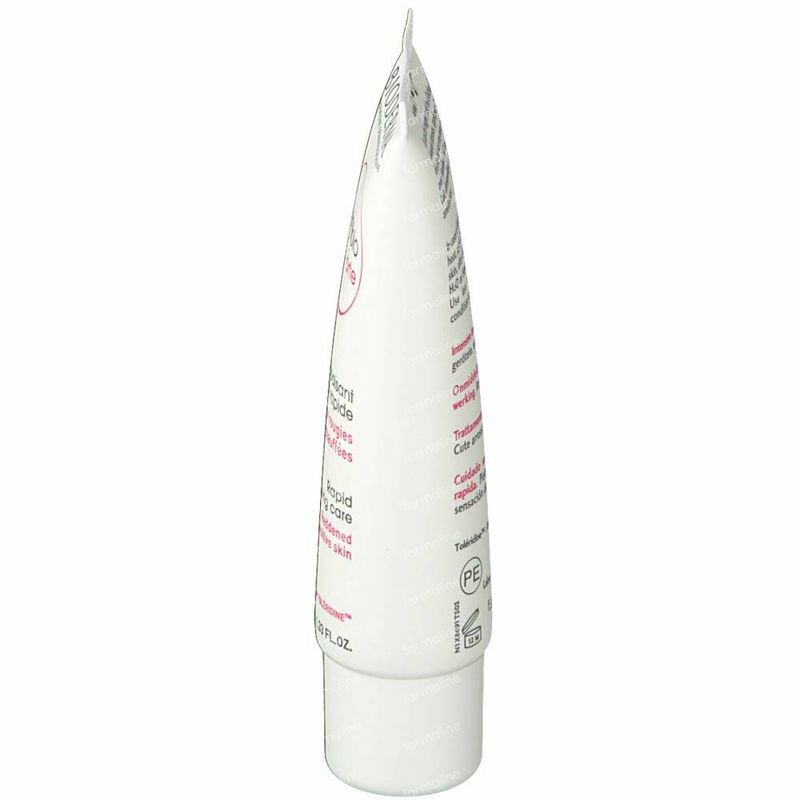 -Beeswax and xylitol, moisturising and moistening agents found in Sensibio Forte, combat the skin dehydration that often accompanies irritation and thus lastingly restore skin comfort. 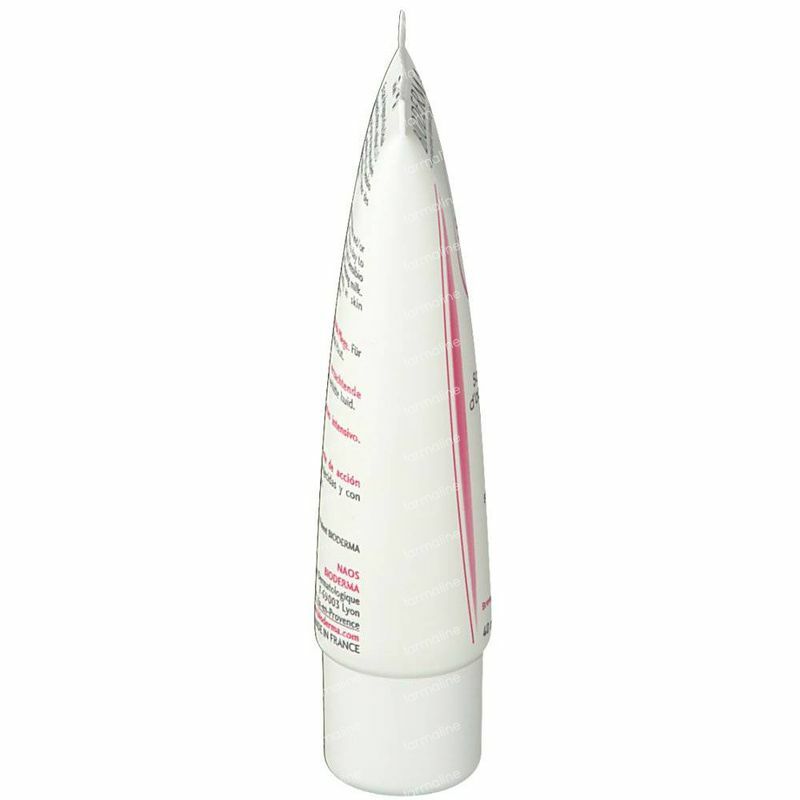 Rapid soothing care for intolerant skin suffering from redness and overheating: redness of mechanical or chemical origin (friction, after shave irritation, depilation, peeling...), overheating after a dermatological operation (Post-LASER), sunburn. 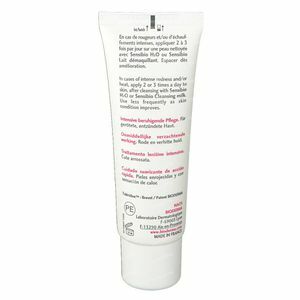 Apply Sensibio Forte on your skin after cleansing, ideally with Sensibio H2O or Sensibio H2O AR. Apply less frequently once your skin has improved. 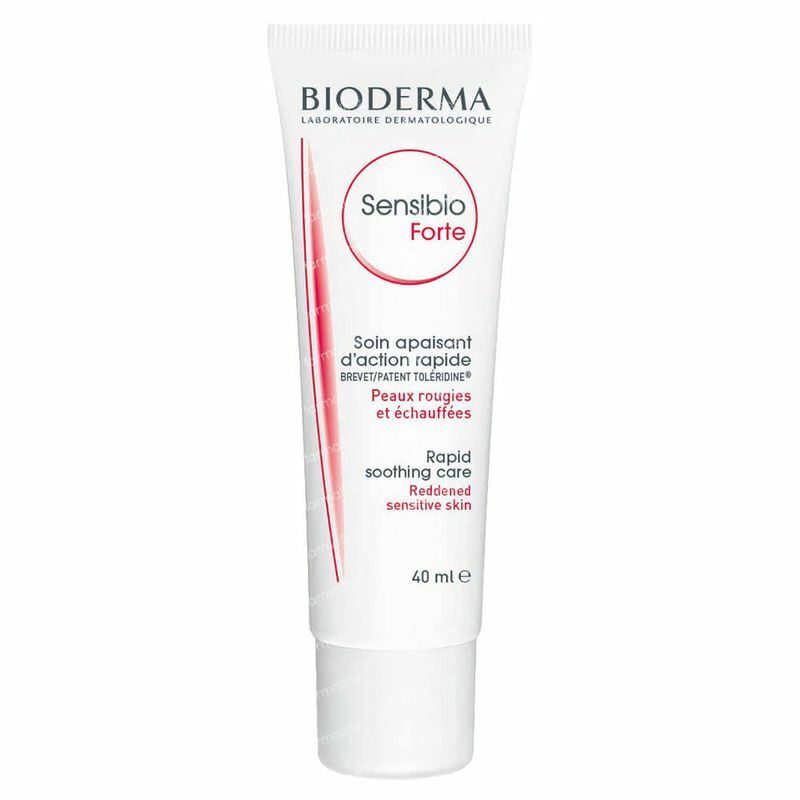 Sensibio Forte is amazing for sensitive skin like my extremely sensitive one. I have rosacea and I used the AR first, but with this combined it helps! Bioderma Sensibio Forte Cream 40 Ml I had some horrible red patches on my neck, which looked like big burns. I also had very dry, sore looking skin on my forehead. Went to the doctor who prescribed Hydro Cortisone. The rash slowly disappeared after the application of hydro cortisone, but came back with a vengence, once I had stopped. I recently went on holiday to Dubai, went to a pharmacy to buy some Ibuprofen when the pharmasist looked at me and said that she's got something for my red patches (that wasn't the reason I went in for :-)). 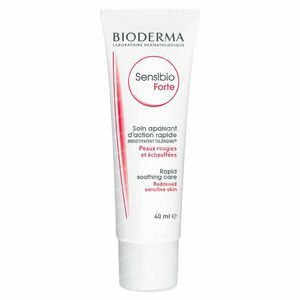 She offered me some Bioderma Forte sensibio to use with Bioderma Atoderm PP wash gel and told me that within 3 months of using this cream I'd be rid of my dermatitis. I wasn't too convinced to start with, because I had tried so many creams that I couldn't imagine why this should be any different. I told her that I was given hydro cortisone by my doctor to which she replied: "Well, it obviously didn't work..." She was so convinced that she had the right cream for me and I am very pleased to say that I am so glad I took her advise... the red skin disappeared within a few days of me using it and it's been fine now for about 4 weeks. One of the best purchases I have ever made. I wish I could go back to Dubai and thank this lady.